It was win or go home for the two AL East competitors in the 2017 MLB Postseason, and win they did. The Boston Red Sox and New York Yankees staved off elimination for one more day, but they still face long odds to climb their way to the front of the pack. The Cleveland Indians and Houston Astros remain favorites to represent the American League in the League Championship Series. Cleveland remains the World Series favorite even after their odds grew a bit longer following their 1-0 loss to New York; Houston holds their position as third most likely World Series Champion, behind the Los Angeles Dodgers who had a travel day. The Yankees and Red Sox are still long shots to win it all. 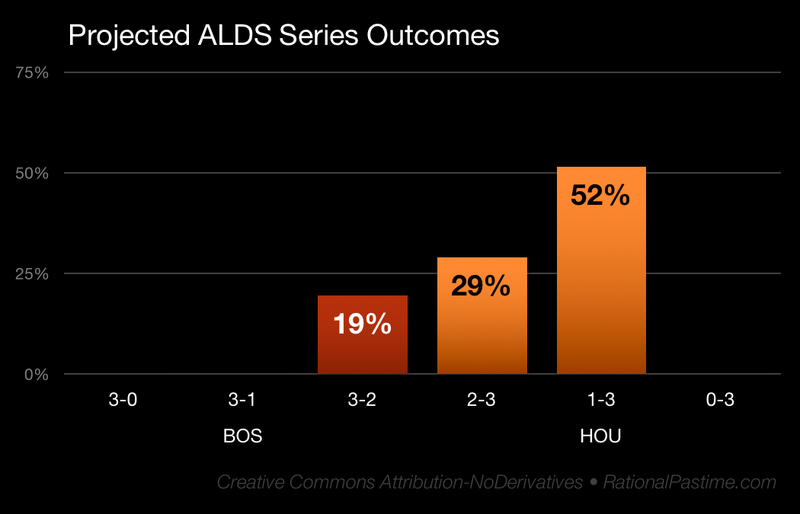 The Astros retain an 81% chance to win their ALDS. 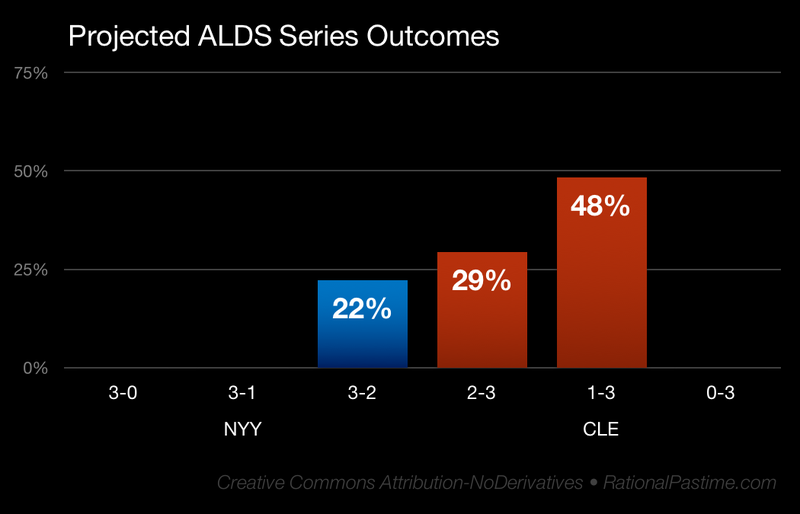 The Indians retain a 77% chance to win theirs. 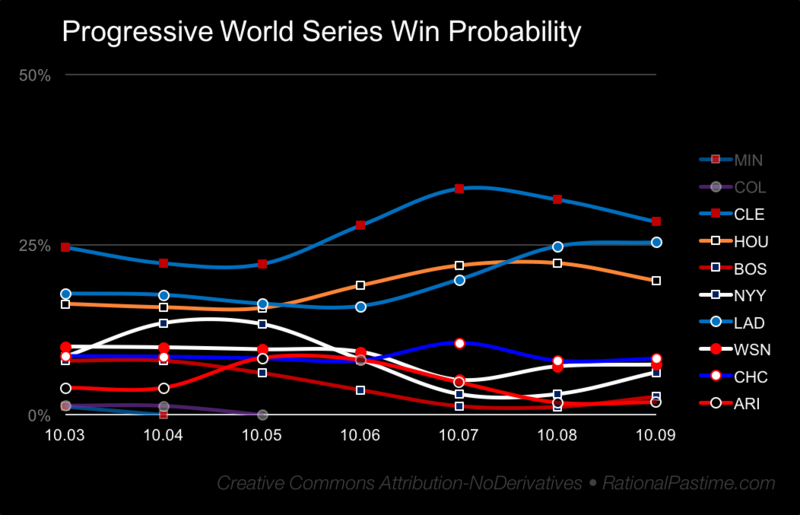 An Indians win over the Dodgers in five games remains the most likely discrete World Series result. The Dodgers' best chance is a win over the Indians in seven. All eight teams are in action today, with the Yankees, Red Sox and Arizona Diamondbacks facing win-or-go-home scenarios. 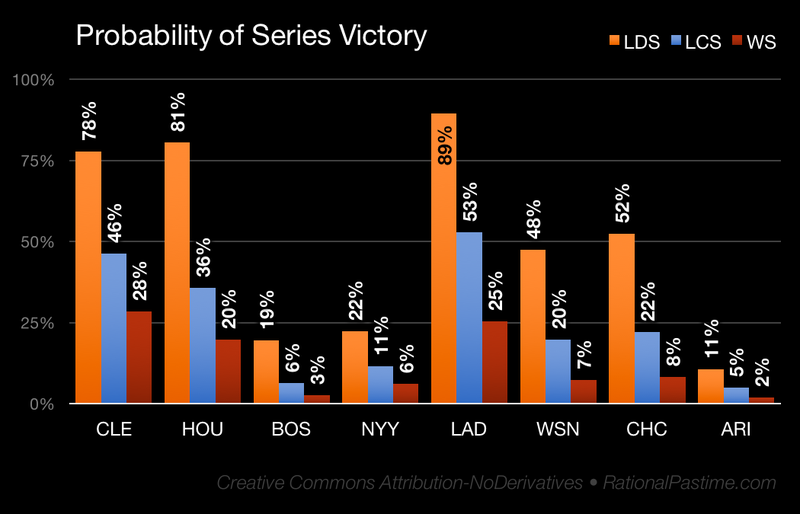 Check out the probability distributions for the two NL series in yesterday's post, and check back tomorrow to see how the results of today's big slate affect the chances of the playoff contenders going forward.